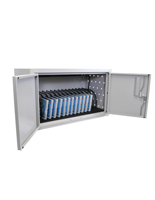 Fits Laptops, iPads & Android Touchscreens Up to 11.25" x 13.5"
These secure tablet charging cabinets can either be wall mounted or placed on a desktop with their versatile design. 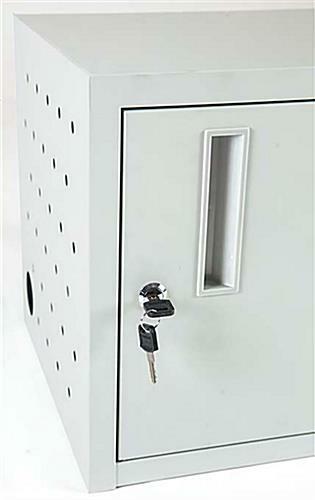 Each case is made of steel and features a locking swing-open door with an included key. 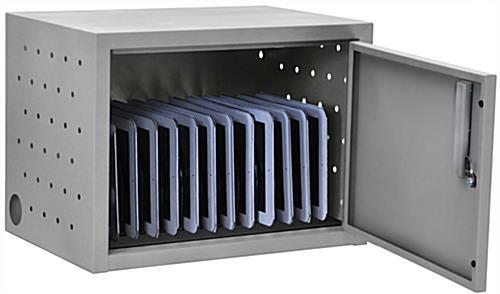 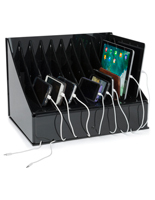 This type of tablet charging cabinet features enough storage space to fit (12) devices, such as laptops, iPads and Android touchscreens. 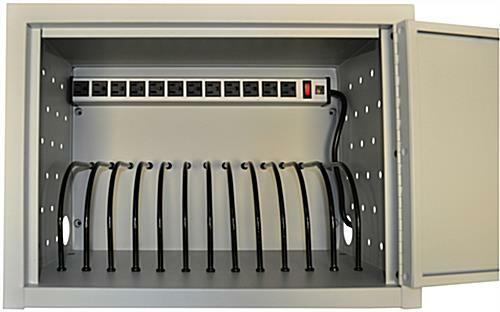 In addition, the wall mounting fixtures include (12) outlets and a 10' long power cord for placement anywhere in a room. 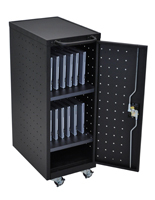 The storage cabinets also have perforated sides for additional air flow, preventing devices from overheating. 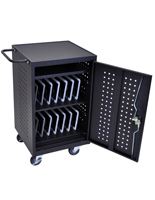 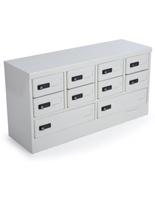 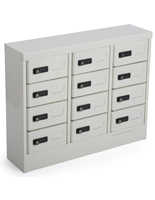 The cases feature a neutral powder coated gray finish and ship fully assembled. 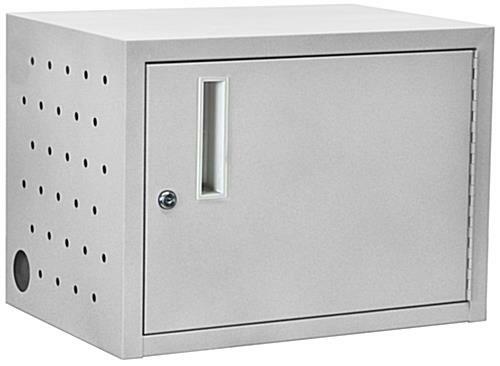 32.0" x 14.0" x 13.0"